Summary: A true right to roam walk for some of the paths indicated are simply not there. 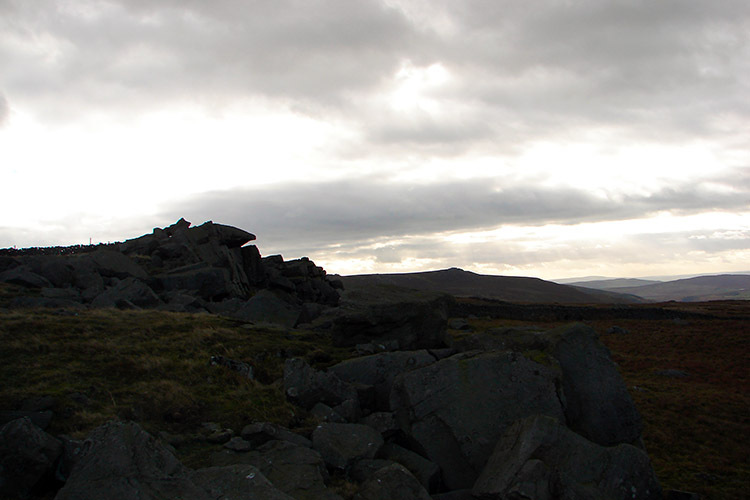 I find it a challenge to forge my own way across quiet fells and this walk offered the chance without risk of getting lost with visits to Grimwith Reservoir and Stump Cross and great views of Simon's Seat to be had from the route of the walk. 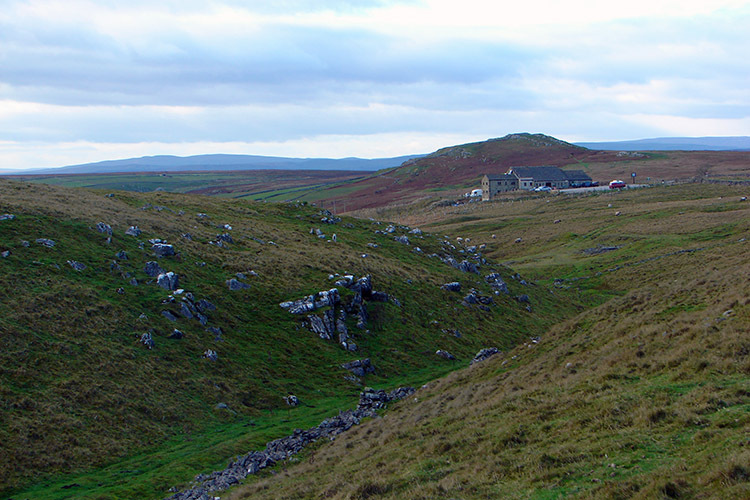 The Walk: The none event which was the Summer of 2007 was definitely over and as often happens Autumn often proves a more reliable option for walking in England. It was the case on this day in mid November for it was cool and slightly crisp but beautifully clear with sun low in the sky casting wonderful shadows over the Appletreewick Moor area. 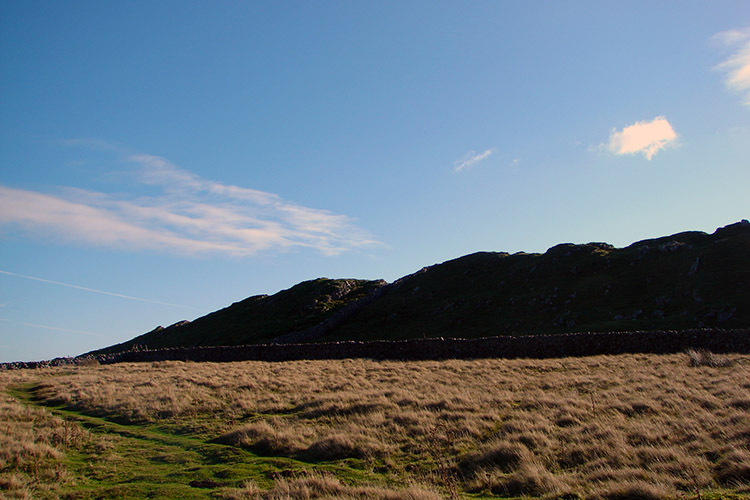 Often I had dismissed this little patch of beauty for the popular walking areas of Bolton Abbey, Simon's Seat and Barden Fell to the south, the Grassington area to the west or to Upper Nidderdale to the north. Today I was paying it the respect it deserves. My plans were to walk from above Skyreholme on the Black Hill Road to Grimwith Fell and then do some right to roam walking to Grimwith Reservoir before heading to Stump Cross Caverns and then to High Crags (Rear Clouts), on to Forest Road and back to the car. After donning the woolies in the raw morning air of a clearly changing season I was off on my way. The walk started with a stiff climb but as I gained height onto the top part of Black Hill Road the views unfolded and I was blessed with crystal clarity panoramas of the hills of Skipton to the west and sun blocked silhouette of the craggy hilltop lines of Simon's Seat and Little Simon's Seat. Ahead of me the distinct and almost symmetrical rounded top of Nursery Knot came into view. The knot is the only standout feature of Grimwith Fell and it eerily drew me towards it. 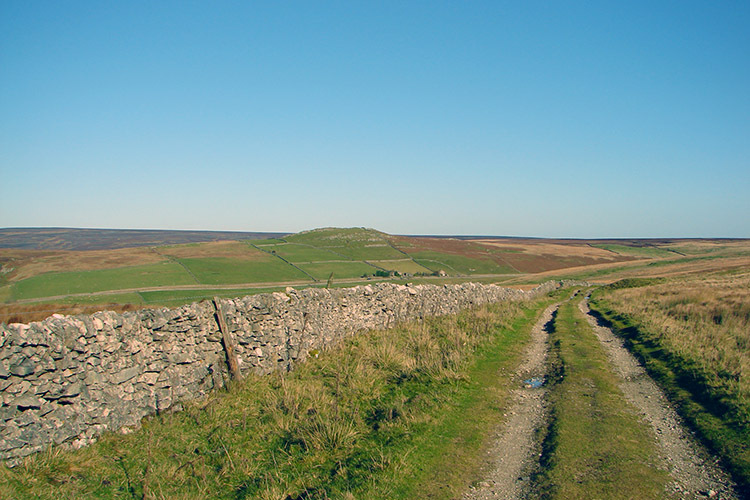 After my lung challenging wake up call of 70 metres ascent in the first kilometer I was now freewheeling on a descent of 50 metres in the 2nd kilometer down to the B6265 road linking Pateley Bridge and Grassington. Once I has reached the road I crossed and began roaming by following a track straight up to the bottom of the exposed rocks of Nursery Knot before tracking west along the fell. I endeavoured to find a marked track near Fell Side Allotment but could not make anything out so I kelp on a compass bearing of due North West which would lead me to a wall. I planned to follow the wall down to the reservoir marked Rough Hill. My compass bearing worked a treat. After a little time negotiating high grasses and lush mossy spring bog I reached the wall and soon after the beginning of the descent I clapped eyes on Grimwith Reservoir for the first ever time. Just as I did so an single seater aircraft of around end of the second world war flew over. I think it was a Mustang and possibly flow by an American enthusiast based at Menwith Hill. After the plane had gone I soon focused back on the reservoir which did not look at all out of place. 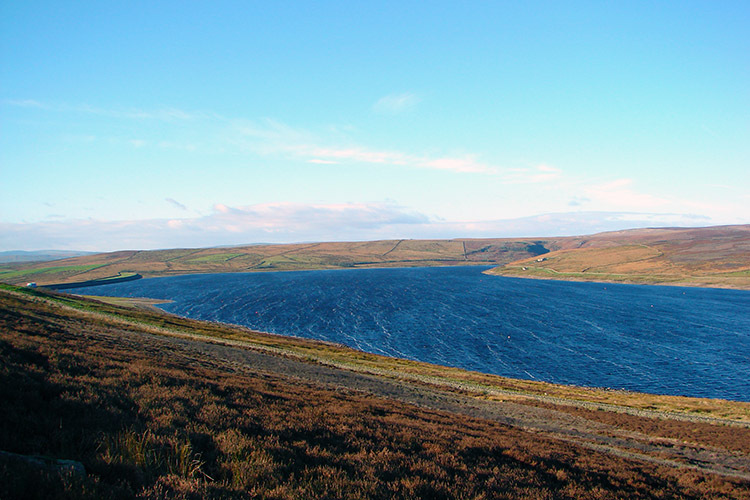 I can honestly say the reservoir enhances the beauty of the surrounding moorland. It was a pleasure to look on Grimwith Reservoir and its surroundings. 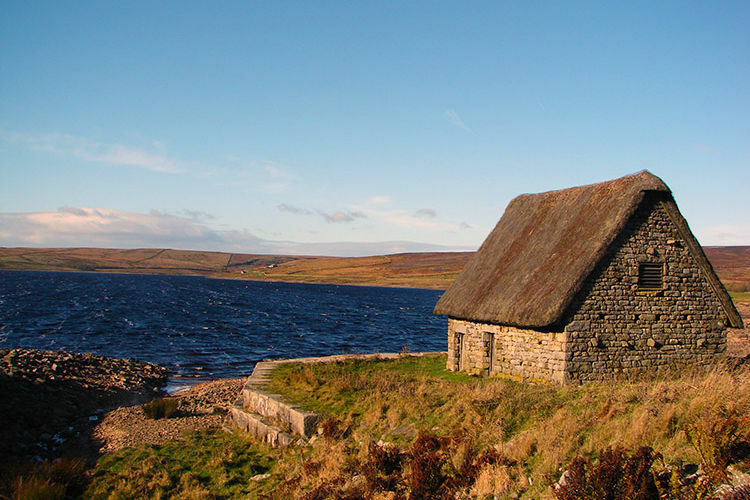 As I got down to the reservoir I was delighted to see a thatched cottage by the waterside. It was not inhabited but it was in good condition and clearly cared for. After standing in the serenity for a short time I moved on and followed the track from High Shaws Lathe south east back via Knot Head to Nursery Knot. During this longest single climb of around 90 metres ascent I momentarily lost concentration and trod into a pothole. My right foot squelched as I went down to just below my knee. A soggy moment was had and I tramped with dry and wet foot up to the highest point of Nursery Knot. I soon forgot about the now steaming lower limb as I reached the peak of my little mountain. The views were sublime from my vantage point for now the sun was at its highest, mediocre in November but still providing a glistening rich brown moorland view of Appletreewick Fell. And to the south clouds had begun to assemble and race over the land creating dramatic shadows on the Barden Fell and Rylstone Fell ranges. I watched the natural light show for some time while eating a sandwich and taking a drink. I also watched vehicles travelling along the B6265 below and thinking how I was much happier up on top of the Knot rather than motoring along the road like them. After my refreshments I took my leave of Nursery Knot and after wishing it a gracious farewell I walked down to the roadside. 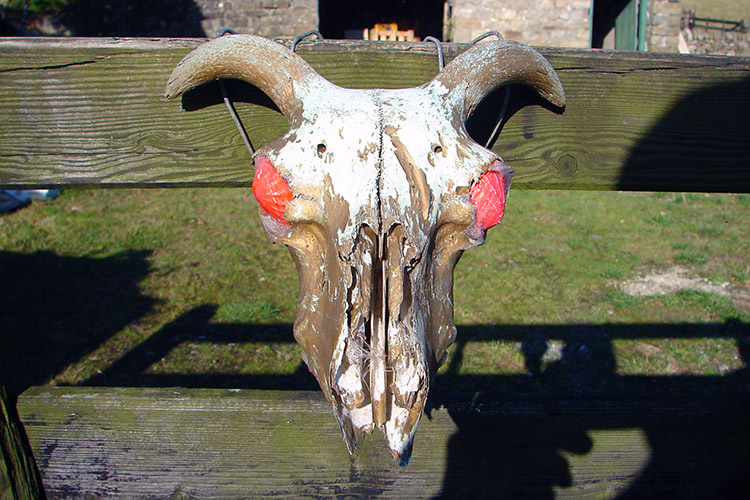 I was obliged to do some roadside walking now and strode east past Stump Cross Caverns and for another 500 metres until I turned south onto Craven Moor and then on to Sun Side Allotment. Now I was to start on my most adventurous right to roam. My plan was to find a marked track that would take me south to just east of High Crag or Rear Clouts and then on to meet Forest Road at Eller Edge Nook. Couldn't find it at all and anyway I was drawn to High Crag precisely. The going was not too hard although the climb over undulating ground was tiring. At High Crag I enjoyed bounding on the rocks for a while before walking east to try (for a second time) and find the track. Not to be so I followed something else instead. I took the decision to follow the experts and so followed tracks made by the resident sheep. They know what they are doing, have years of experience and always walk to food or shelter. One track would lead me to a gate and then another to a feeding area and then another to a vehicle track. Then I followed that to the road. Job done, thanks sheep! 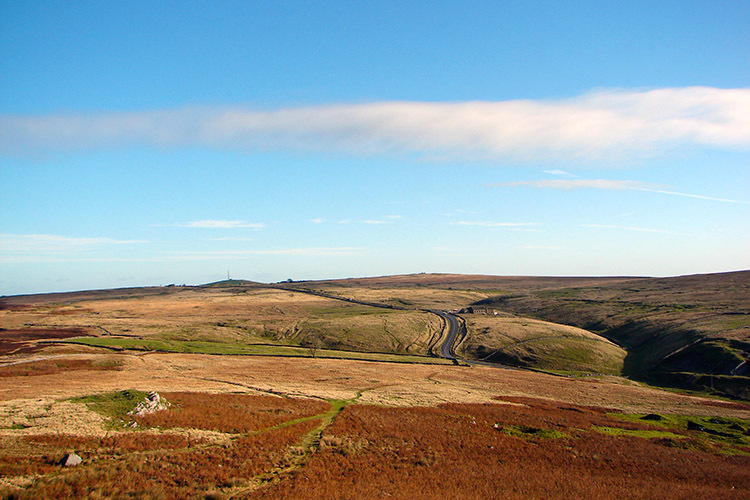 I then followed Forest Road back to the junction with Black Hill Road and Skyreholme Bank and back to the car. Satisfied after a great day out on the quietest of walks when I did not encounter anyone I drove home contented.